Our journey started a little earlier than normal on a rather grey day in Hayle. Brad had kindly offered me a lift to Daniels Lane for the rather full day we had planned ahead. It was a rather dreary drive up the A30 but we talked about plans for the shop and our recent visits from Tamsin, Head of PR and Communications, Rob, Retail Operations Manager and Frazer, Business Development Manager. 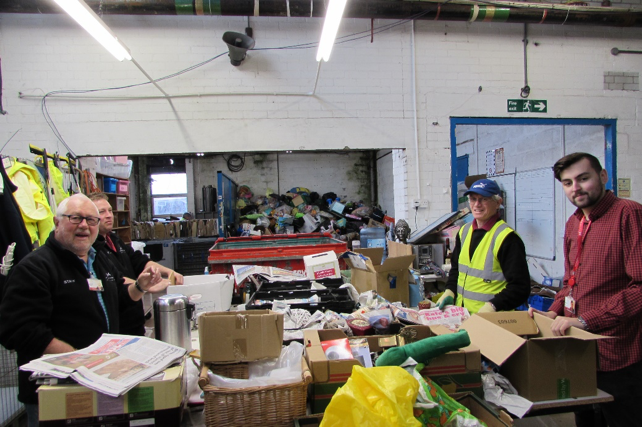 We arrived at the warehouse and after a few hellos up in the retail administration office to Rob and Maureen we were on to our first task of the day. 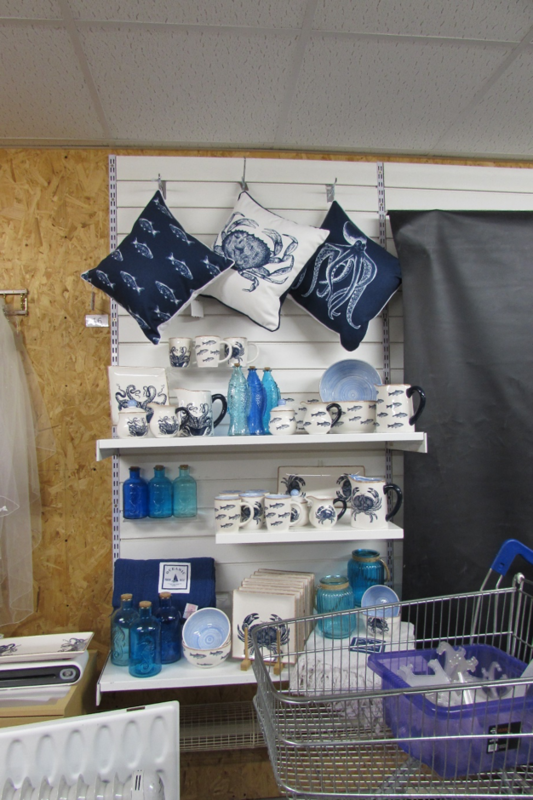 Our Penzance Lifestyle shop needed Bric a Brac. So we dove in to the pile! The folks at the warehouse have been sending us some incredible bits and bobs of late. So it was great to give them a hand sorting through donations and also grab some good items for our store. Keith in the PAT test bay topped up the pile for Penzance shop with some good electrical items and then Graham from book sorting did the same with a book order we had put in. We couldn’t leave the donated stock without a little look round Claire’s sorting station and bagged up some hiking boots ready for the walkers on the South West Coast path who pass through Penzance on their way to Mousehole, Lamorna and Lands End. After a quick break it was on to territory unknown for Brad and Myself this time. THE NEW GOODS! Not as intimidating as it may seem and Pete and Guy soon had us to work pricing up the new range of “Sea Creature” China being released in a few weeks. Personally I love it and think I will be having some octopus cups at least! The hour labeling and packing up the new range flew past But we got quite a bit done… 15 boxes… Not bad? of the charity they work in and speaking, if they felt like it, about how they had come in contact with mental health and what they wanted to get out of the session. Following that the room was split and we were given a task to think about what could lead to a mental health issue and what those issues were. I came up with FOMO (Fear Of Missing Out) which the tutor had not come across so felt like I had contributed something of use…Possibly. The course is worthwhile if you have never come across mental health illness and may not know the causes and effects of it. So well worth attending to get a basic knowledge of the subject. However it’s such a diverse spectrum to cover it was hard to really focus on one area such as depression, anxiety or dementia. We left the meeting with a new set of contacts to speak to if we have any concern for our own or anyone we come in to contact with, be that staff, patient, relative, volunteer or member of the public. Armed with this new info we headed back west through a thick fog thinking about how we can best help our selves and people around us.